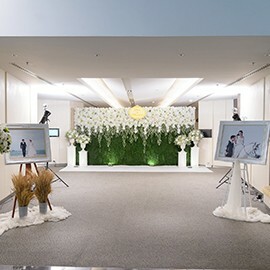 Bangkok wedding packages at Novotel! When it’s time to think about the next step in your relationship. Be it an engagement or even tying the knot, Novotel Bangkok Platinum Pratunam’s Bangkok wedding packages are set to make any couple swoon. 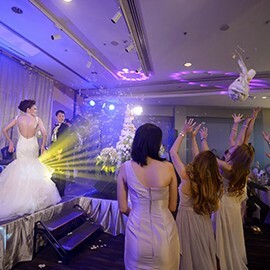 Novotel Bangkok Platinum Pratunam offers a grand selection of engagement and wedding packages to choose from. Taking place at our spacious 7th floor function rooms. 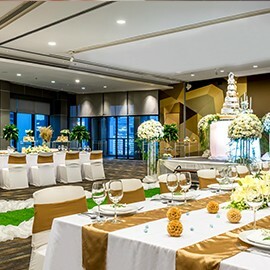 You can enjoy abundant natural light and clear views of Bangkok in the main ballroom. 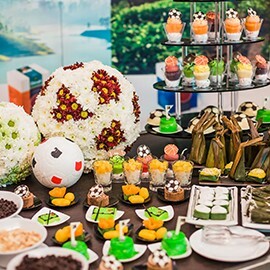 Choose either a Thai or Chinese-style engagement ceremony in the morning and make your evening wedding reception reflect your own interests. An essential pre-wedding tradition is of course the hen night or bachelorette party for the ladies and stag night or bachelor’s party for the men. Let us help in organizing a fun bash for you and your closest friends to bid your last single days farewell! Whether you want a private, themed party in our function room, an outdoor party at BAR9 or even a wet and wild pool party at our infinity pool on the 9th floor. 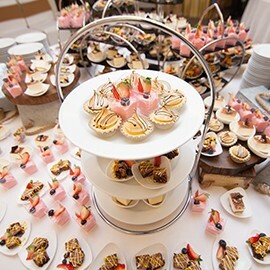 Our event planning team is ready to help you make it happen. To make sure you’re ready for the big day. Our wedding packages also include day use of a room for the couple to get ready for the morning engagement ceremony, and a romantic night in either our Executive Room or Executive Suite on the 23rd-25th floors. 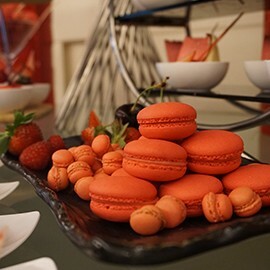 Experience the first morning of your new life together in the comfort of our well-appointed rooms and enjoy full Executive Lounge benefits that include a private breakfast, all day refreshments and complimentary evening cocktail happy hour. Arriving by private car or public transportation mean it’s always easy to reach for both the bride and groom and their guests. 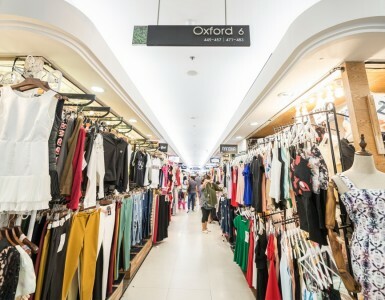 So if you’re looking for Bangkok wedding packages in a hotel that combines convenience with customization options to make your wedding uniquely you. 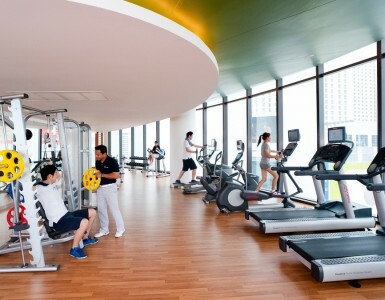 Novotel Bangkok Platinum Pratunam is your best choice! Let us be a part of our love story today.